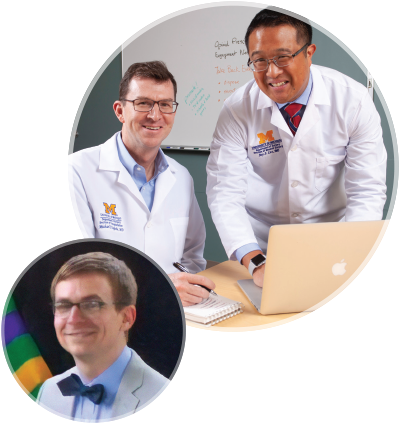 "From basic to translational research, and on to the clinic, policy and commercialization, U-M Medical School researchers are firing on all cylinders across the research spectrum as we further scientific inquiry and ultimately work to improve human health." 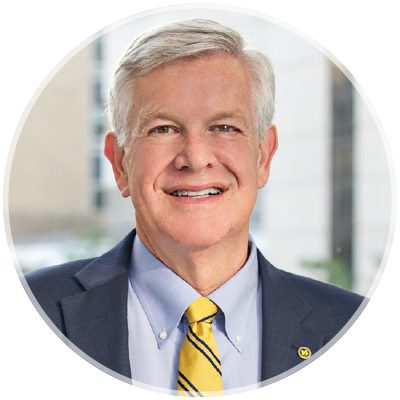 "Discovery and translational research continue to be absolutely critical to our mission to advance healthcare in Michigan and around the world, and is and always will be of highest priority for Michigan Medicine." Sue Hammoud, Ph.D., is an Assistant Professor of Human Genetics, Obstetrics and Gynecology, and Urology, and winner of the NIH Director's New Innovator Award. Nearly 1 in 8 couples in the U.S. face infertility, and about half of those cases can be attributed to sperm abnormalities in the male partner. 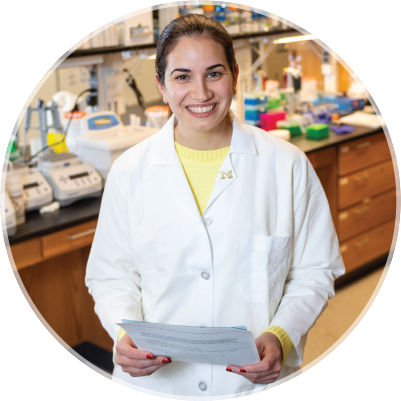 As the root causes often remain a mystery, Sue Hammoud, Ph.D., is researching how the basic biology behind sperm development could one day lead to renewed hope for people wanting to grow their families. Harnessing the power of the body's immune system holds incredible promise for combating a range of conditions, and has transformed the way researchers are approaching cancer treatment. Weiping Zou, M.D., Ph.D., is leading a multidisciplinary laboratory that is investigating immunotherapy drugs and the human cancer microenvironment. 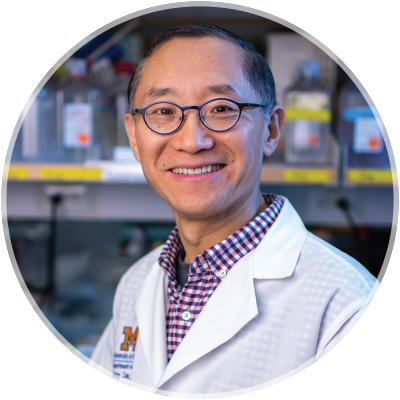 Weiping Zou, M.D., Ph.D., is the Charles B. de Nancrede Professor of Pathology, Immunology, Biology, and Surgery, and Co-Director of the Cancer Hematopoiesis and Immunology Program, and Director of the Center of Excellence for Cancer Immunology and Immunotherapy. Helen C. Kales, M.D., is a Professor of Psychiatry, member of the U-M Institute for Healthcare Policy & Innovation, and is director of the U-M Program for Positive Aging. In today's health care environment, patients and their families are being encouraged to take an active role in decision-making about prevention and treatment. For many caregivers, engagement can mean additional challenges and stress. 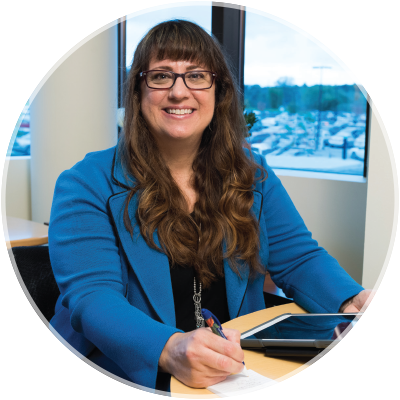 Helen Kales, M.D., is researching both mental health issues in older patients, as well as looking at innovative support options for their caregivers. According to the Centers for Disease Control and Prevention, 115 Americans die every day from an opioid overdose, many of them resulting from the abuse of prescribed medications. Michael Englesbe, M.D., along with Ryan Howard, M.D., and Jay Lee, M.D., are helping to address this dangerous epidemic through their research into safer prescribing practices. Michael Englesbe, M.D., F.A.C.S., Endowed Professor of Transplantation Surgery and Jay Lee, M.D., health services research fellow with the Center for Healthcare Outcomes & Policy and a General Surgery resident, are pictured together. Ryan Howard, M.D., is a General Surgery resident. Patient Valerie Walton with Elif A. 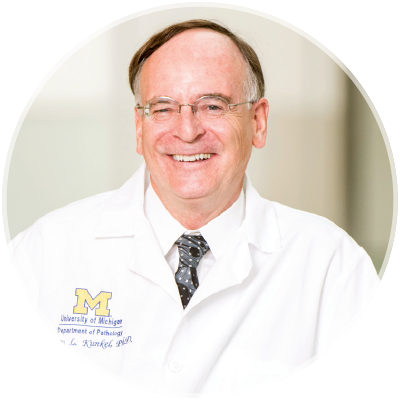 Oral, M.D., M.S., Associate Professor in the Division of Metabolism, Endocrinology & Diabetes and Medical Director of the Bariatric Surgery Program, Director of the MEND Obesity and Metabolic Disorder Program, and Director of the Post-Bariatric Surgery Care Program. Lipodystrophy is a rare, currently incurable syndrome tied to a number of diseases, and can lead to diabetes and very high triglyceride levels. Life-threatening complications are caused by a decrease in the hormone Leptin, and result in symptoms like uncontrolled body fat loss or accumulation, and a stressed liver. Elif A. Oral, M.D., M.S., currently has the largest lipodystrophy patient population in the United States, and spearheaded the development of the only approved therapy for the condition. 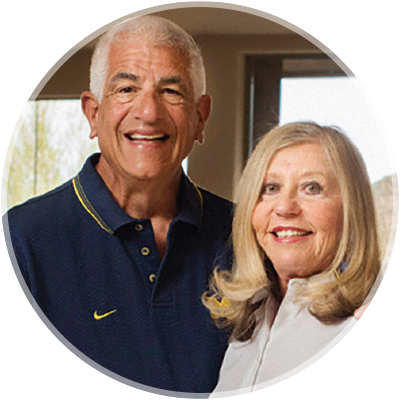 Richard and Susan Rogel are on a mission to boost innovative cancer research and develop the next generation of cancer pioneers. 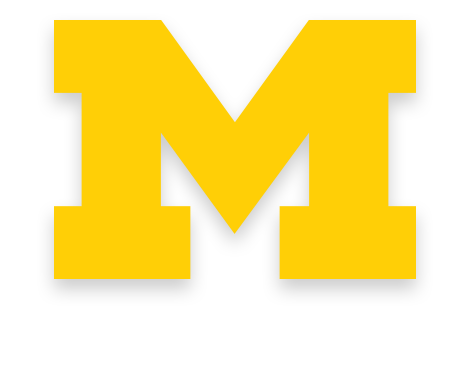 In 2018 they committed $150 million to the University of Michigan Comprehensive Cancer Center to realize that vision. 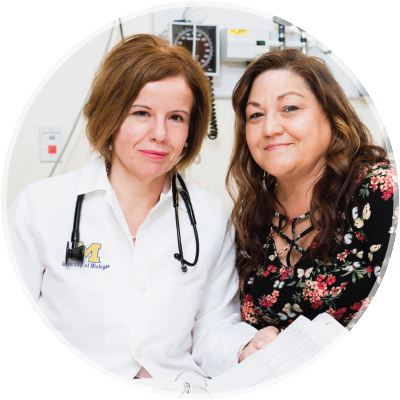 Are you ready to join a community of people who are passionate about finding cures, preventing disease, and improving the quality of life for patients and their families? From proposal development to grant and regulatory reviews to core labs, throughout the year our research enterprise is supported by the many units of the Medical School Office of Research.